In light of an increasing number of foreign customers, supermarket giant Aeon Co. on Friday launched a real-time video interpreting service. 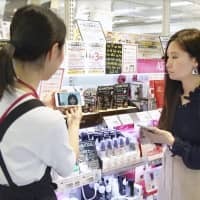 Shop clerks at about 550 Aeon stores now carry smartphones or tablet devices that can access interpreters through video chat software to assist non-Japanese customers. 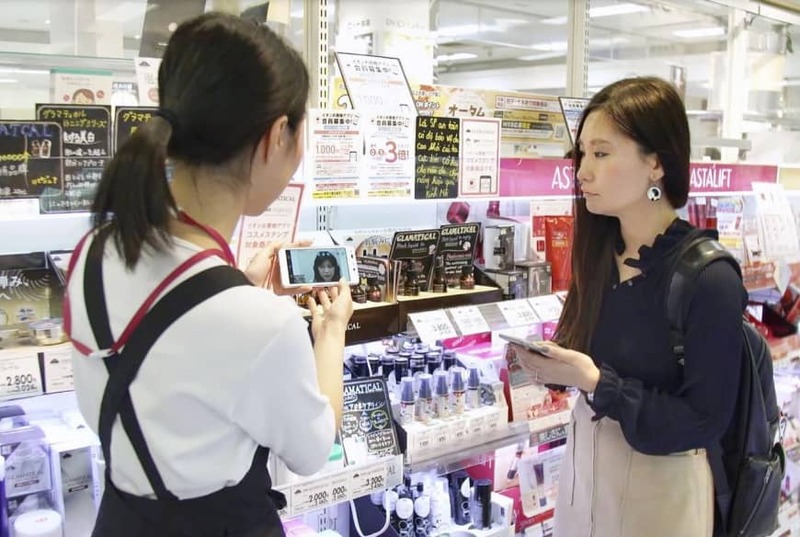 The Chiba-based Aeon, Japan’s largest retail group, said interpreting operators are available in 10 languages — English, Chinese, Korean, Portuguese, Spanish, Thai, Vietnamese, Russian, French and Tagalog. It rolled out the support due to an expected surge in tourists from China during the Chinese New Year season, set to begin next week. Japan will also host major sports events, including the Rugby World Cup this year and the 2020 Olympic and Paralympic games, said Ee Shen Ai, an Aeon spokesperson. On top of having multilingual employees, Aeon has provided a telephone interpreting service for foreign customers at some outlets, Ee said. The face-to-face video chat will be more convenient because interpreters will be able to see the products, she said. Ee added that the firm has been seeing more international shoppers in recent years who are eager to purchase items including cosmetics and medical products. The Aeon group, which ran about 17,000 stores nationwide as of last August, plans to expand the interpreting service to more outlets.